Rudolph had four receptions for 39 yards on seven targets in Sunday's loss to the Saints. Analysis: Rudolph has just two touchdowns and hasn't had more than 57 yards receiving since Week 2 as almost all of Minnesota's targets go to Adam Thielen and Stefon Diggs. However, Rudolph showed he can still be a factor in the red zone Sunday as he had a short-yardage touchdown negated by a penalty. Rudolph caught one of four targets for 16 yards in Sunday's 37-17 win over the Jets. Analysis: Rudolph has seen his yardage total decline in each of the last three games, and he's been kept out of the end zone since Week 3. Owners who drafted the red-zone reindeer after an eight-touchdown 2017 campaign are none too pleased at the moment, but a bounce-back opportunity awaits in what should be a high-scoring affair against the Saints in Week 8. Rudolph converted all four of his targets into catches for a total of 37 yards during Sunday's 27-17 win over Arizona. Analysis: Rudolph's catches, targets and yards were his lowest since Week 1, and his scoreless streak has extended to three weeks. Nobody is going to confuse Rudolph for Travis Kelce or Rob Gronkowski, but five straight weeks with at least four catches is pretty darn dependable -- even if he hasn't gotten many yards out of them. 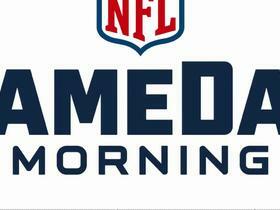 A Jets defense that is giving up 292 receiving yards per game awaits Sunday. Rudolph had five receptions for 41 yards on five targets in Sunday's win at Philadelphia. 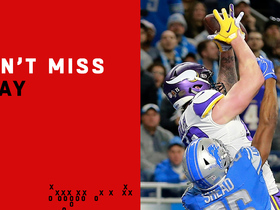 Analysis: Rudolph was the top target in the passing game after Adam Thielen and Stefon Diggs, but the duo had 21 combined targets. Rudolph remains a top red-zone option and steady part of the offense, but his upside has been somewhat limited by the success of the top two wide receivers. Rudolph had five receptions for 57 yards on six targets in Thursday's loss at the Rams. 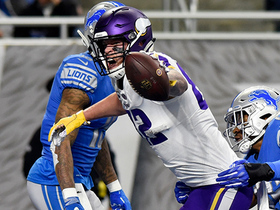 Analysis: The Vikings were in catch-up mode all game and throwing frequently, so it was good to see Rudolph heavily involved even with the depth at the skill positions for the Vikings. It's worth noting that Rudolph made all five of his catches in the first half. For the game, he was fourth on the team in targets. He'll remain a key-red-zone target for Kirk Cousins. Rudolph caught five of six targets for 48 yards and a touchdown during Sunday's 27-6 loss to the Bills. Rudolph totaled 72 receiving yards while hauling in seven of eight targets during Sunday's 29-29 tie with the Packers. Rudolph had one reception for an 11-yard touchdown on two targets in Sunday's win over the 49ers. Analysis: It was encouraging that Cousins looked to Rudolph in the red zone. However, it was a little worrisome that Minnesota's other tight ends (David Morgan and Tyler Conklin) equaled his target share. He should get more work in the future, but after one week Cousins' previous strong rapport with tight ends didn't mean a huge target share for Rudolph. Rudolph told the Minneapolis Star Tribune that he felt great during training camp and the preseason following ankle surgery in February. "This entire training camp, I have honestly felt like I'm in the best shape I have ever been in and moving as well as I have since I was 19 years old," Rudolph said. 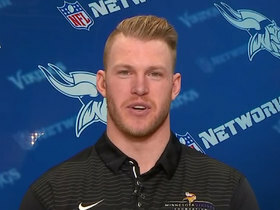 Rudolph may spend more time in the slot or out wide under new offensive coordinator John DeFilippo, Matthew Coller of 1500 ESPN Twin Cities reports. Rudolph (ankle) took part in 11-on-11 red-zone work during June minicamp, Andrew Krammer of the Minneapolis Star Tribune reports. Analysis: Bouncing back from February ankle surgery, Rudolph apparently had quarterback Kirk Cousins' full attention near the end zone, something that likely will carry over into the regular season. The 28-year-old tight end previously took part in team drills at OTAs in early June and seems to be on track for full participation at the start of training camp. Rudolph (ankle) participated in team drills during Tuesday's OTA session, Chris Tomasson of the St. Paul Pioneer Press reports. Rudolph (ankle) worked on the rehab field during Wednesday's OTA session, Courtney Cronin of ESPN.com reports. Analysis: Rudolph took part in spring drills on a limited basis, but another month of rest and rehab hasn't gotten him to full health at this point. Once he does rejoin the mix, Rudolph will look to develop a rapport with the club's new quarterback, Kirk Cousins, who signed a three-year deal in the offseason. It's quite possible Rudolph will remain limited during the rest of the Vikings' offseason program, but a return for the start of training camp could be in the cards. Rudolph (ankle) said that he has been participating in spring drills on a limited basis, Chris Tomasson of the St. Paul Pioneer Press reports. Rudolph (ankle) has ditched a cast for a walking boot, as of Friday, Tom Pelissero of NFL.com reports. Rudolph is recovering from surgery on his right ankle, Andrew Krammer of The Star Tribune reports. 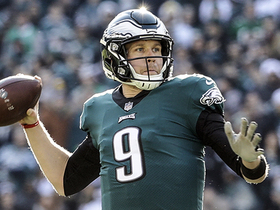 Rudolph caught one of four targets for a 25-yard touchdown in Sunday's 38-7 loss to the Eagles. Analysis: Rudolph capped off his team's opening drive with a 25-yard TD grab, but he was shut out the rest of the way as his team was handled comprehensively. He enjoyed a strong regular season that saw him catch a career-high eight touchdown passes, but he managed just 36 yards and a score in two playoff games. Nevertheless, Rudolph should remain an integral part of the passing game for Minnesota next season, regardless of who its starting quarterback turns out to be. Rudolph (ankle) practiced fully Wednesday. Analysis: After spraining his ankle Week 14 at Carolina, Rudolph was treated with kid gloves in both practices and games, presumably with the postseason in mind. The limitations were felt during the fantasy postseason, as he recorded four catches (on six targets) for 26 yards and one touchdown over the final three games of the regular season. 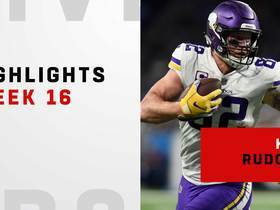 After a bye week to kick off the postseason, Rudolph appears to be back to full speed as the Vikings begin their playoff run in earnest Sunday against the Saints. Rudolph was in a walking boot after Sunday's win over Chicago after playing on a sprained right ankle. "I finally get some time off, so I'm going to try to get this thing back to 100 percent," Rudolph told the St. Paul Pioneer Press. "I played three games on it, so now I get some time off." Analysis: Rudolph injured his ankle Dec. 10 at Carolina but was able to play the next three games. He had just four receptions in those three games and played just 28 snaps in Sunday's win. 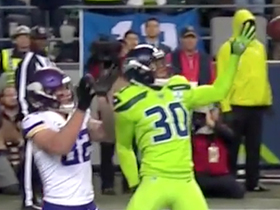 He should hopefully be back to full speed after Minnesota's bye in the first round of the NFC playoffs. Rudolph had just one reception for three yards on three targets in Sunday's win over Chicago. Analysis: Rudolph wasn't needed as much in the passing game with the Vikings getting an early lead. Still, he has just four receptions in his last three games as he played with a sore right ankle. 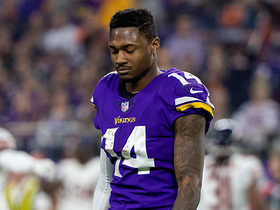 He figures to be more active in the playoffs, however, as the Vikings had comfortable leads in all three wins and he figures to be in better health after a week off. Rudolph (ankle) remained limited at practice Friday, but he doesn't have a designation on the final injury report for Sunday's game against the Bears. Analysis: Rudolph had a limited role while playing through an ankle injury the past two weeks, logging 31 and 54 percent of snaps on offense, rather than his typical workload of at least 85-100 percent. It isn't out of the question that he moves back toward his usual range this weekend, as the Vikings could miss out on a bye week if they lose to the Bears and the Panthers beat the Falcons. Rudolph caught six of nine targets for 45 yards and a touchdown in a 20-17 win over the Bears in Week 5. Rudolph (ankle) was a limited participant in Thursday's practice. Rudolph (ankle) was limited at Wednesday's practice. Rudolph caught his only target for a six-yard gain during Saturday's 16-0 win over the Packers. Rudolph (ankle) doesn't have a designation for Saturday's game at Green Bay. Rudolph (ankle) was listed as a limited participant on Tuesday's estimated injury report, Ben Goessling of the Minneapolis Star Tribune reports. Rudolph (ankle) caught both of his targets for 17 yards and a touchdown in Sunday's 34-7 win over the Bengals. Analysis: Rudolph was listed as doubtful heading into this contest and clearly operated at less than 100 percent. 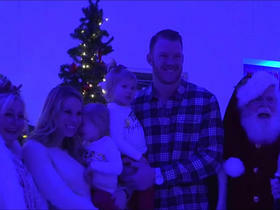 Nonetheless, the red-zone reindeer was able to score his fifth touchdown in four weeks on a one-yard reception early in the fourth quarter. Rudolph's nose for the end zone makes him an appealing play down the stretch, but owners planning on utilizing the tight end for Saturday's divisional clash in Green Bay should monitor his health throughout the week. Rudolph (ankle) is active for Sunday's game against the Bengals, Ian Rapoport of NFL Network reports. Rudolph (ankle) is expected to play Sunday against the Bengals, Ian Rapoport of NFL Network reports. Analysis: Rudolph was originally designated as doubtful on the official injury report for Sunday's contest after being unable to practice throughout the week, but was upgraded to questionable Saturday. Still, fantasy players will want to check his status before Sunday's game. Rudolph (ankle) has seen his status upgraded to questionable ahead of Sunday's game against the Bengals, Ian Rapoport of NFL Network reports. Analysis: Rudolph was originally designated as doubtful for Sunday's contest after being unable to practice throughout the week, but he appears to be making a quick turnaround. Still, he will need to show more improvement prior to game time in order to ultimately suit up. Blocking specialist David Morgan remains in line to start at tight end should Rudolph be unable to go. The Notre Dame product's final status is unlikely to be confirmed until closer to kickoff. Updating a previous report, Rudolph (ankle) is listed as doubtful for Sunday's game against the Bengals. Rudolph (ankle) has been ruled out for Sunday's game against Cincinnati, Ben Goessling of the Minneapolis Star Tribune reports. Rudolph (ankle) didn't suit up for Friday's practice, Chris Tomasson of the St. Paul Pioneer Press reports. Analysis: Rudolph didn't practice at all this week as a result of the ankle injury he suffered in Week 14, so his odds of playing in Sunday's game against the Bengals aren't promising. The Vikings will reveal whether or not he has any chance to play Sunday after Friday's practice comes to a close; if Rudolph is unable to go, David Morgan would get the start at tight end in his stead. Rudolph (ankle) isn't taking part in practice Thursday, Chris Tomasson of the St. Paul Pioneer Press reports. Rudolph (ankle) didn't take part in practice Wednesday, Chris Tomasson of the St. Paul Pioneer Press reports. Analysis: Considering he emerged from the locker room Sunday in Carolina with a walking boot on his foot, Rudolph's absence isn't much of a surprise. He'll have two more chances to make his presence felt this week, which will sway his listing on Friday's injury report. Rudolph's direct backup, David Morgan, remains in the concussion protocol. If both are held out Sunday, Blake Bell will take on primary tight-end duties (shoulder). 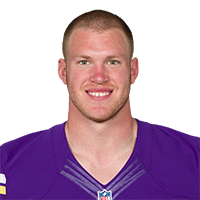 Rudolph left the locker room after Sunday's loss at Carolina in a walking boot, ESPN 1500 am Twin Cities reports. Analysis: Rudolph played the entire game Sunday and didn't appear to have suffered an injury. There are no specifics on his injury from this report. The boot may be precautionary, but his status is worth monitoring this week in practice. Rudolph caught three of five targets for 41 yards and a touchdown in Sunday's 31-24 loss to Carolina. Analysis: Rudolph caught an 18-yard touchdown in the first quarter to tie the game at 7-7. With four trips to the end zone in the past three weeks, the 28-year-old tight end's heating up at the perfect time for fantasy owners. Rudolph caught four of five targets for 36 yards and a touchdown during Sunday's 14-9 win over the Falcons. Analysis: Rudolph tied for tops on the team in catches and targets while finishing second in yardage. He caught the six-yard touchdown pass in the fourth quarter that ultimately decided the game, giving him three trips to the end zone over the last two weeks. Rudolph continues to serve as a security blanket and red zone threat in a rather efficient offense -- a role that's made him a solid fantasy contributor heading into next week's matchup with the Panthers. Rudolph caught all four of his targets for 63 yards and two touchdowns during Thursday's 30-23 win over Detroit. Analysis: The seven-year veteran now has 36 receptions for 320 yards and four touchdowns through his past seven outings, and Minnesota has won all seven of those games. The consistent looks in the passing attack provide a high fantasy floor, which is often a rarity at the tight end position. While Rudolph is unlikely to pile up huge weekly yardage totals, he's garnered 12 red-zone targets this season and has clearly earned the trust of quarterback Case Keenum. Rudolph brought in five of seven targets for 58 yards in Sunday's 24-7 win over the Rams. Rudolph had five receptions for 37 yards on seven targets in Sunday's win over Washington. Analysis: Rudolph continues to get a steady share of targets with Case Keenum at quarterback, but that hasn't translated into many yards or touchdowns. He has seven targets or more in each of the past five games, but has just 27 receptions for 199 yards and two touchdowns over that span.